I write because I desperately need to communicate, and because I know that ultimately, I cannot. I write to remember, and to be remembered. She is known as being the first female Head of State of Africa, as well the first female President of Liberia. Editor’s note: With Nov. 19 marking the 150th anniversary of the Gettysburg Address, The Papers of Abraham Lincoln will feature letters to or by Lincoln, written between the end of Battle of Gettysburg on July 3, 1863, and his famous speech. 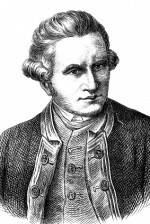 James Cook is best known for his three voyages of exploration in the late 1700s which completed the map of the world by filling in the hitherto blank space that was the Pacific Ocean. By the time of his unfortunate death in Hawaii in 14 February 1779 he had sailed further than any man, venturing south into Antarctica and north into the Arctic, and in between he had charted and mapped hundreds of islands both large and small. “Here is your friend Al Capone, writing you this letter from here.” A recently sold cache of correspondence from the collection of Capone’s Florida physician pulls back the curtain on the once-fearsome mobster’s final years. A copy of letter from Abraham Lincoln written to a nephew in Oregon in 1860, then photo-copied - literally - onto two glass negatives around World War I in Tacoma. Not seen since then, those negatives were re-discovered this year by the Tacoma Historical Society, which was going through dozens of donated boxes of negatives.